Kristie embarked upon a quest to reunite the lost slides with their subjects. She shared the images far and wide on social media, and when the story was picked up by news stations such as CNN, its publicity grew. Thousands of people waited in anticipation to see who the people in these glamorous photos could be. Clues in the photos hint that this is a military family. Miraculously, considering how little information Kristie had to go off of, the mystery was solved yesterday. After a month of searching, Kristie received communication from the family to whom the images belong. Despite the fanfare surrounding the search, its conclusion was subdued. The family requested that the images be returned with no media attention, and Kristie willingly obliged. This story speaks to everything that we do at FOREVER.com. Nearly all of us take photos (we inferred that 7.5 trillion photos were taken worldwide in 2017), and yet we often do not give them a second thought once the images are captured. But what use are photos if they sit in boxes or on shelves, or are buried somewhere in our phones, without being looked at or enjoyed? 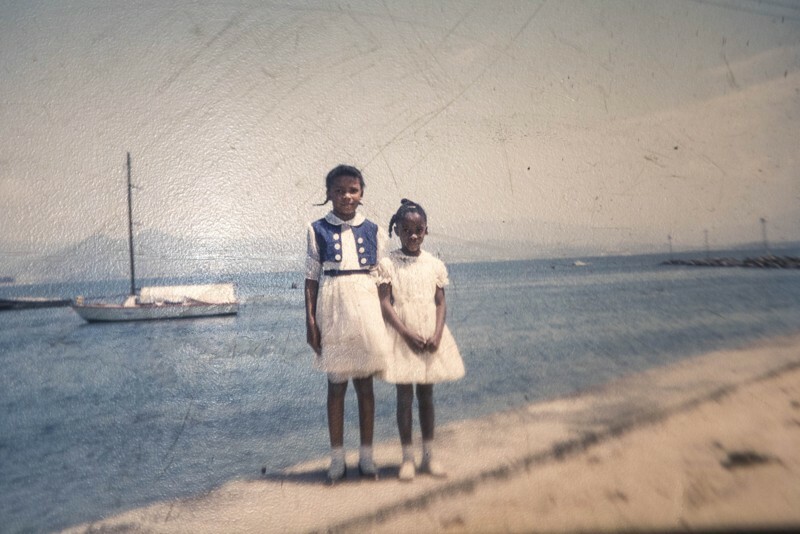 Indeed, the photos on the slides that Kristie bought from Goodwill were beautiful enough to captivate an entire nation, but were not being enjoyed by those they were meant for – the people in them and their descendants. Upon the conclusion of her search, Kristie said, “Thanks to everyone who came together to find the family and for all of the kind comments. People shared stories with me of their childhoods in military housing and of lost pictures they wish someone could find from their own family." It’s so easy for precious memories to be lost, and in the digital world, it (counter-intuitively) seems to be easier than ever. But it doesn’t have to be. All we need to do is take the initiative to gather our memories, convert them to a digital format, and secure them in a place where they will be safe for generations to come, guaranteed. There has been much emotion within the FOREVER community as a result of this story. “THIS is exactly why we do what we do,” said FOREVER Lead Ambassador Connie Wigle Demers. “What a great validation of what we do!” echoed Senior Executive Ambassador Lorrie Curley. “Reading something like this makes me want to run and hug my scrapbooks and photo books!” exclaimed Qualified Ambassador Julie Tambrini. In her post announcing that the owners had been found, Kristie said, “The internet is a magical place! I’ve learned that many labs all over the country can convert slides into digital images and also into prints, affordably. I hope this story inspires people to dust off some boxes in their basements and bring those old memories to life again." Bring those old memories to life again. That one sentence describes everything empower people to do at FOREVER. What use are fading memories that aren’t being enjoyed? It’s not too late to preserve your own memories. Take ownership of your legacy today, not only for you and your family, but for future generations to enjoy! Learn more about how FOREVER can help you save, organize, and share your memories for generations.